Her creative abilities give her the impetus to take Indian fashion forward on the international arena in a big way. From the divas of Bollywood to the current generation’s heartthrobs and fashionistas and women from every walk of life, her sophisticated and glamorous creations have adorned them all. Her eponymous labels have enhanced many an award show, global red carpet events, international catwalks and the pages of all the top end fashion glossies. 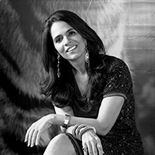 From prêt to couture, traditional to contemporary, classic to avant-garde and desi to global, Anita Dongre's creations bear her unique imprint. Her signature labels include ANITA DONGRE TIMELESS, IINTERPRE'T, GRASSROOT. She also has MENSWEAR, an uber stylish line of bespoke and ready to wear clothing. Anita is the Creative Director of two other popular high street brands, AND (www.andindia.com) and GLOBAL DESI (www.globaldesi.in). 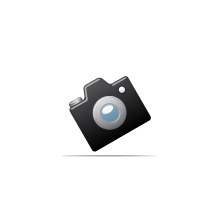 PINKCITY is her line of exquisite jewellery for men and women. Today her brands sell from more than 500 retail points throughout the length and breadth of the India. Apart from awards and accolades, she is unarguably the most popular and well-known fashion designers of the country today. Her creations carry that spirited vibe that comes from her tenacious ardour and a perfect understanding of the contemporary Indian’s fashion needs. Anita has carved out her own niche and created an empire that every designer would aspire to accomplish. Her designs beautifully fulfill the sartorial needs of the contemporary Indian woman, of all ages and shapes.